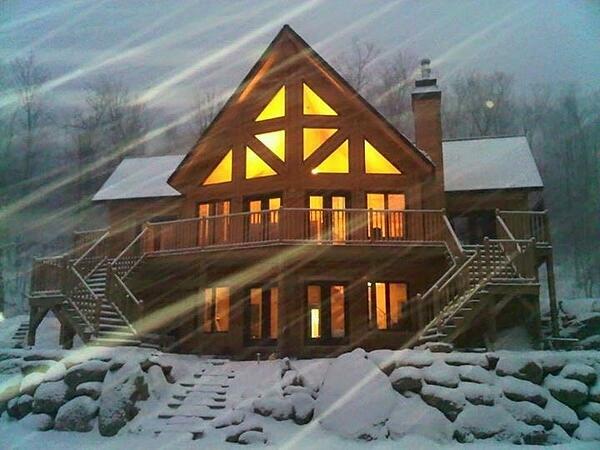 Top 10 Timber Block Home Photos in Winter! There's no amount of snow, wind or cold that we can't handle! 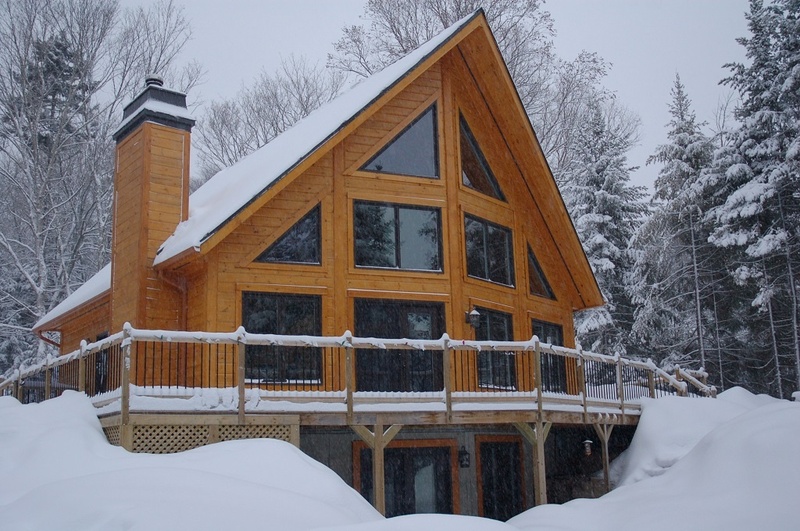 Timber Block's technological advances ensure each and every homeowner can enjoy the beautiful winter months without having to worry about skyrocketing energy bills just to keep warm. More about Timber Block's innovative technology below. 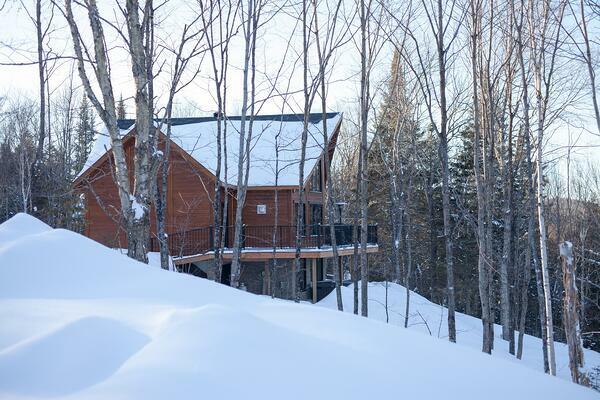 With beautiful, sustainable homes constructed in every climate, there's something special about seeing a Timber Block surrounded by a blanket of white, glistening snow. Here are 10 of our favorite "Snowy Winter" photos. A Timber Block Dakota. This home is so beautiful. 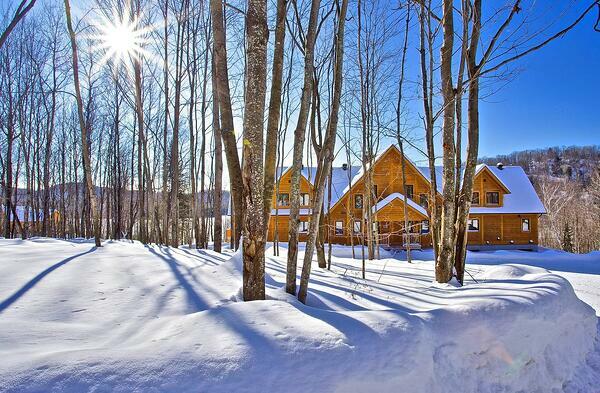 With a blanket of snow and snowy trees, this photo could be a postcard! 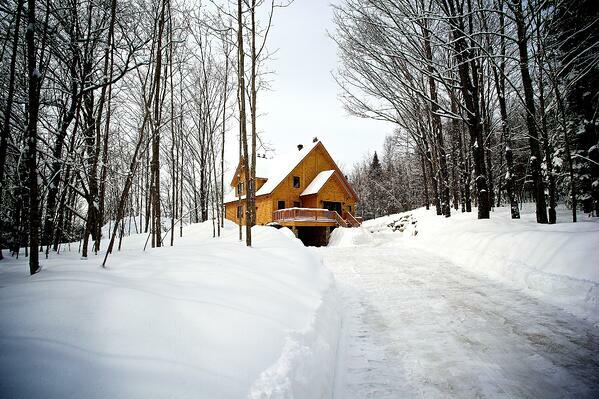 Constructed in Wisconsin, this customized Timber Block home is one of our favorites. Several feet of snow never looked so good! This Timber Block duplex is ideal for income property. Families get to spend their winters enjoying skiing, snowmobiling and more! It truly is picture perfect. This gem is a customized Northcliff from Timber Block's Classic Series. No matter the style, Timber Block's technology ensures the highest in comfort. This is a customized Monterey. 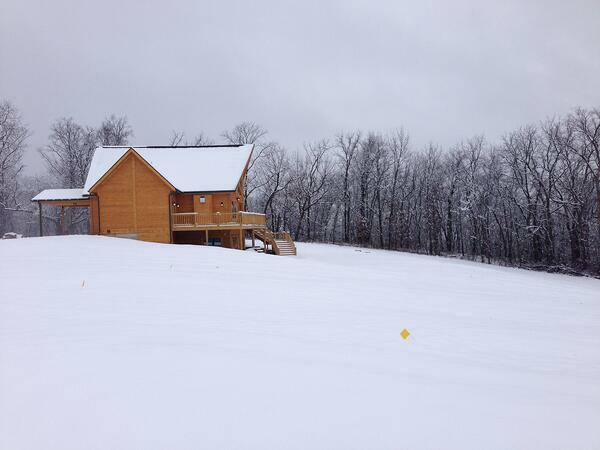 Even just a skiff of the white stuff is welcome when you're enjoying your dream home! A full blown winter storm is a beautiful sight! Imagine how cozy this is to watch around the fireplace. 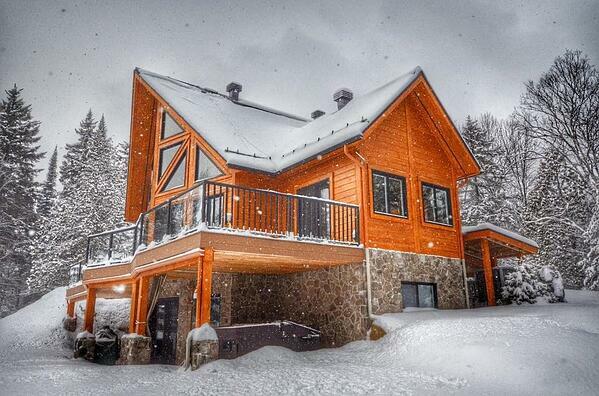 Many of our homeowners have built their dream home in cold, snowy climates. 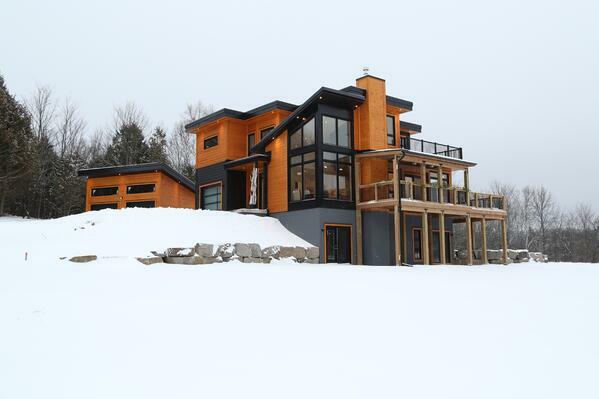 But did you know, we can build in winter? A highly energy efficient, eco-friendly home is more important today than ever. Building codes related to wall insulation have went up. Energy costs have risen. Today's homeowner cares about building a sustainable home. It's not only good for you, but will overall save you plenty of money, while ensuring your family is comfortable - year round. 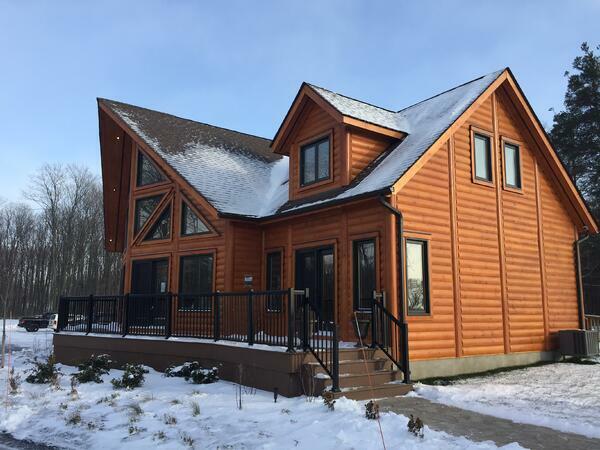 Thanks to Timber Block's patented system building process, we can not only design and construct a high quality, strong, stunning homes - faster than traditionally built structures - but we can make sure your home is extremely energy efficient. R-30 wall insulation is standard in every Timber Block home. An upgraded R-36 option is available, leading to an even higher level of efficiency. These R factors, combined with a tight thermal envelope (the thermal insulation within the building enclosure, which provides a continuous thermal barrier that minimizes heat flow through the floor, walls and ceiling) results in low energy consumption. Timber Block homes are ecological. Our insulating procedure contains Zero ODS, protecting our environment. Timber Block is a proud partner of Mike Holmes, and is a Holmes Approved Builder, Holmes Approved Product and Holmes Approved Home. 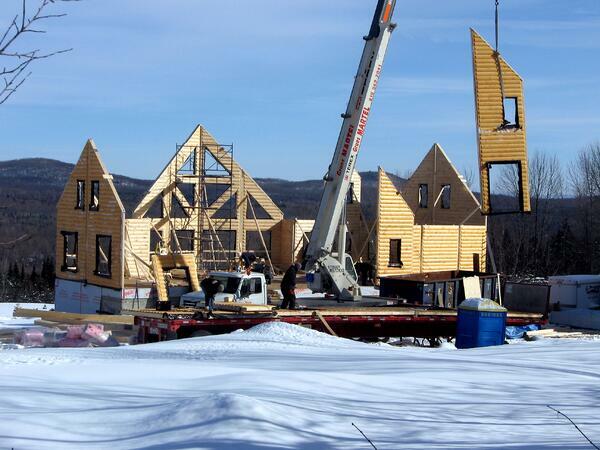 In late 2018, Timber Block announced the addition of the Mike Holmes Inspection Program. Download your free Advantage Article below.